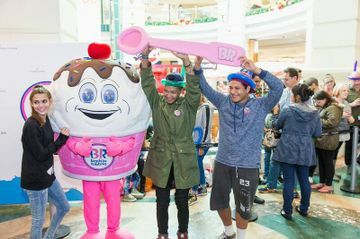 This past December marked an exciting milestone in the history Dunkin’ Brands, the parent company of Dunkin’ Donuts and Baskin-Robbins, having opened its 20,000th location globally. It would have been hard to imagine when the brands were first founded in 1950 and 1945, respectively, the role each would play in the daily lives of so many people around the world. 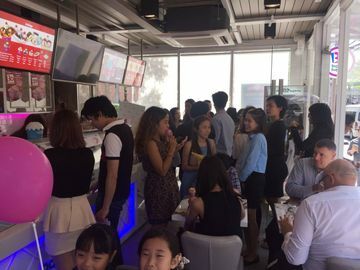 Today, Dunkin’ Donuts gets and keeps people running with its range of coffees, espresso beverages, sandwiches and baked goods in countries including Brazil, Germany, New Zealand, Saudi Arabia, South Korea and Switzerland. 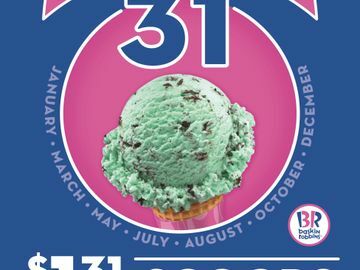 Additionally, Baskin-Robbins serves up its iconic “31 flavors,” as well as other treats including ice cream cakes, frozen beverages and ice cream sundaes in countries such as Canada, Ecuador, India, Japan, the United Arab Emirates, the United Kingdom and Vietnam. 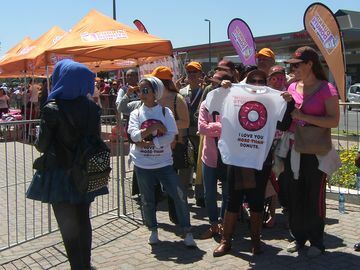 The 20,000th global location milestone comes at an exciting time when our international licensees have opened restaurants in a number of different countries, including our first Dunkin’ Donuts and Baskin-Robbins locations in South Africa, our first Dunkin’ Donuts restaurant in Bahrain, as well as exciting new restaurant openings for Dunkin’ Donuts in China and Baskin-Robbins in Thailand. 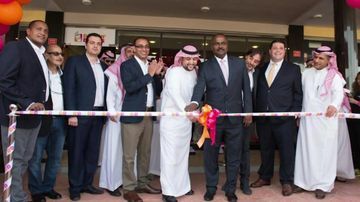 We also opened a number of new Dunkin’ Donuts and Baskin-Robbins locations here in the U.S. Dunkin’ Brands has more than 20,000 Dunkin’ Donuts and Baskin-Robbins restaurants in 68 countries worldwide. We’re proud to serve guests around the world their favorite Dunkin’ Donuts and Baskin-Robbins products, and look forward to serving even more customers around the globe in the year ahead. This includes the upcoming first Dunkin’ Donuts restaurant in Amsterdam, which is scheduled to open on March 23rd! 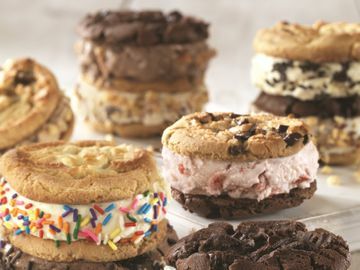 Do you have a favorite Dunkin’ Donuts or Baskin-Robbins restaurant here in the U.S. or around the world? Let us know on Dunkin’ Donuts’ Facebook, Twitter or Instagram channel, or Baskin-Robbins’ Facebook, Twitter or Instagram channel.